I am a relationship and psychosexual therapist who aims to build a warm and respectful relationship with my clients to explore current and past concerns. Working together I aim to bring insight and a deeper understanding of the situation and possible behavioural patterns. We are not born lacking confidence. As we grow things tend to happen to us, and over time this accumulation of “stuff” tends to control the way we think and act. Often we need new ways of looking at old situations to free us from the past and to empower us for the future. Everybody has difficulties and challenges at some point in their life. I see therapy as a collaborative process between client and therapist, which help to identify problems and unhelpful patterns that stop us from living our full potential both as individuals and in the couple relationship. I use a variety of tools and use an integrative therapeutic approach. 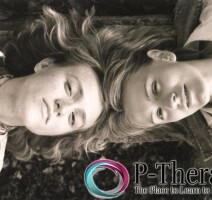 At P-Therapy I offer couples and individuals a safe space to look at relationship and psychosexual issues and concerns. I work on the principle that negative memories, beliefs and fears are stored in our systems and are the root cause of many emotional and physical difficulties. They hold us back, and keep us locked in repetitive negative patterns. I support clients in clearing and changing limiting beliefs, and allow them to release and free themselves from emotional blocks. What is School Coaching and Where Can it Take You? Hypnosis is very relaxing, and that in itself has many benefits. The more I work with the mind, the more I am in awe of its power. My interest lies in getting to the root cause of problems and clearing it rather than treating the presenting symptom/s. This quote offers a good analogy – “Problems can be reduced to a few core elements. It’s like looking down into a weed infested pond”. This is the therapy I practise. Trained as a psychotherapist but finding from experience, hypnotherapy to be more effective as it helps clients tap into the power of their mind to bring about the desired change. In talking therapies, the conscious mind with its limitations prevails but in hypnosis the vast, infinite, inner mind is activated, hence changing for the better is easier and quicker. They want to do/have something that’s currently missing – for example play better golf, have peace of mind, the confidence to succeed, to be happy. From years of experience working with clients, I find alcohol abuse, comfort eating, smoking are some of the techniques clients have used to get away from the nebulous ‘dis-ease’, ‘that’s inside themselves but outside their control.’ But these distractions are only temporary, what is needed is to find the root cause of the symptoms so they dissipate from the mind body system. My goal is to help clients understand and safely release the emotions from their past, (generalized free floating anxiety) so that they can live adaptively in the present, whilst reaching out confidently for a brighter and happier tomorrow. I offer a free 20 minutes consultation in North London to answer any questions or concerns about hypnosis as well as to discuss techniques that will best achieve the clients’ goals. Mondays, Wednesdays and Fridays – evenings only. Sessions cost £85. I give concessions to the aged, young and unemployed, just let me know during our free consultation. 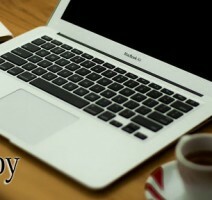 On going professional and personal development. Term time only: Thursday evenings at the Central YMCA, Tottenham Court Road, from 6.30pm – 8.30pm. This is an experiential workshop where you can experience hypnosis as a group before learning how to guide yourself safely and effectively into this rewarding and relaxing experience to make effortless change.